Smart contracts are useful because they’re trustless. Immutability is a critical feature to achieve trustlessness. Upgradeability undermines a contract’s immutability. Why do we need smart contracts? I’d like to offer you the investment opportunity of a lifetime. If you send me 1 ether today, I will send you 2 ether tomorrow. Are you in? Although there’s some evidence that people will take such an offer, I hope that you will refuse. You simply have no reason to trust me to hold up my end of the bargain. If I deployed that contract to the main Ethereum network and put one ether in it, you’d be crazy not to invest. By encoding the rules into a smart contract, we’ve made our financial transaction “trustless”. When I offered you an investment opportunity earlier in this article, you refused because you didn’t know what I was going to do. Was I going to pay you, like I promised, or was I going to run away with the money? Now that we have a smart contract, you can safely accept the offer because you do know what the smart contract will do. You can read the code yourself, and Ethereum guarantees that this exact code will execute, because smart contract code is immutable. There’s nothing I can do to affect the outcome, so you don’t need to trust me at all. Many developers have independently come up with ways to swap out code at runtime. Over the past year, standard approaches to upgradeability have become popular. Perhaps the most common is the “proxy pattern”. If I deployed that Proxy contract (using that Implementation) to Ethereum and put an ether in it, would you be willing to invest? Hopefully, you’ll once again refuse. Because the contract code is no longer immutable, you no longer know what the contract will do. Reading the code doesn’t help you, because I can change that code at any time. Note that in this particular example, your ether is locked up for 24 hours, so I have a luxurious time window in which to make my changes. But even if the payout were immediate, I could always race against your transaction and try to change the implementation first. If upgradeability is a bug, what should be done about it? My first suggestion—and I realize this is controversial, even within my team—is that you probably shouldn’t make your contracts upgradeable. 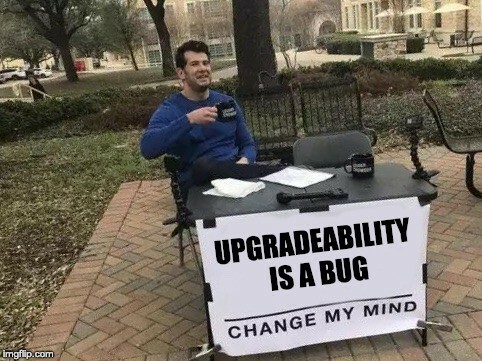 Most of the time, adding upgradeability will not actually help you, it will undermine the value of your smart contract, and it may be a source of bugs itself. If you find that upgradeability is a real requirement for you, consider limiting contract mutability to changes that can’t harm anyone. For example, in the contract described in this article, I could require that code could only be changed after emitting an event and a 48-hour delay. Because funds are only locked for 24 hours, this would leave plenty of time for a user to discontinue their use of the contract if they didn’t like the pending code change. Parameters are another good way to limit contract mutability. The investment opportunity contract we started with doubles an investor’s money. This multiplier could be safely changed at runtime as long as it is only increased. No one would mind if I changed the code to triple or quadruple investments instead. Finally, the most common means of upgrading a smart contract is to deploy a new one. If the new contract is better for everyone, users will be happy to stop using the old contract and use the new one instead. If this swap involves reading state from the old contract, this is sometimes called the “migration pattern”. More sophisticated patterns exist for migration. For example, some contracts use a proxy for upgrade but require that users opt-in before they get the new implementation. To a developer, the allure of upgradeability is obvious. It’s great to be able to fix bugs and add features after a contract is deployed, but this ability itself undermines a critical feature of smart contracts. 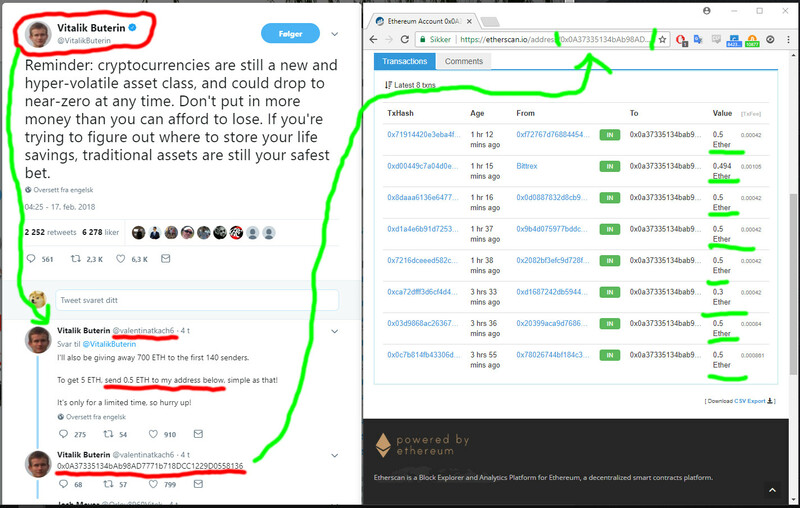 Keep in mind that users of your smart contract don’t trust you, and that’s why you wrote a smart contract in the first place. Thanks to Maurelian, Bernhard Mueller, and Gerhard Wagner.